At the time when her daughter is going to finish her university degree, the mother is going to high school – to study to pass Grade 9. 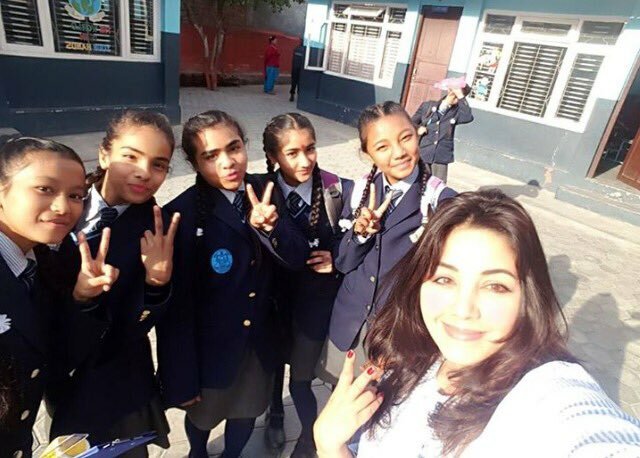 After passing grade 8 from Galaxy Public school, she is admitted to another school – Triveni Public School in grade 9. If she continues to study in a normal pace, she will be done grade 12 in four years. Born to an army father, she lost her father in a young age. Her mother brought her up in a very tough financial situation. Karishma had a very tough childhood. While studying in grade 7 she got an opportunity to act in a movie, ‘Santaan’. 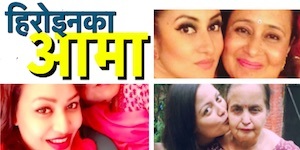 The movie featuring Bhuwan KC in her opposite became a super hit movie of it’s time. The success of the movie changed everything in Karishma’s life. Although Karishma decided to be an actress as her career, she wasn’t good at acting or dancing. Beautiful face and body helped her in establishing as an actress, but to be successful she needed acting skills. She later went to Mumbai for training in acting. While she was in Mumbai (Bombay at that time), she also acted in a Bollywood movie. 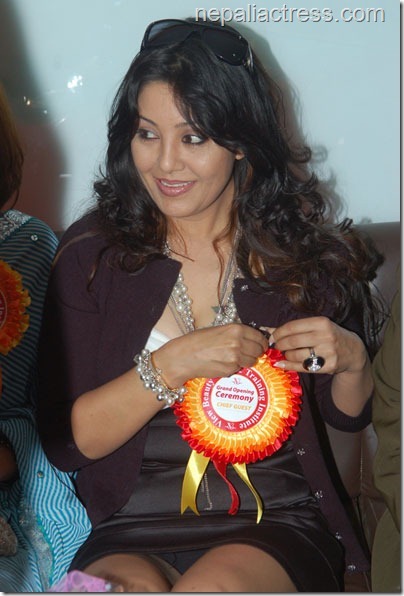 After returning to Nepal, Karishma became one of the top actress of the industry. Karishma and Rajesh Hamal were to two of the most popular actors of that time. There were rumours of their affairs and some even believed that they were real life couple. 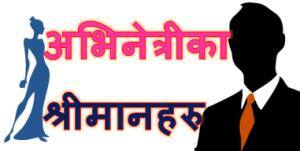 But, Karishma was married to Binod Manandhar and Hamal wasn’t interested in Karishma as a life partner. I wrote about the wardrobe cases of Karishma in an earlier post. Karishma’s dedication in the protest of film artists is appreciated by everybody. Karishma had recently gone to the UAS and returned after her 3 month long stay. After her return from the USA last month, she has been actively participating in the film artist’s protest. 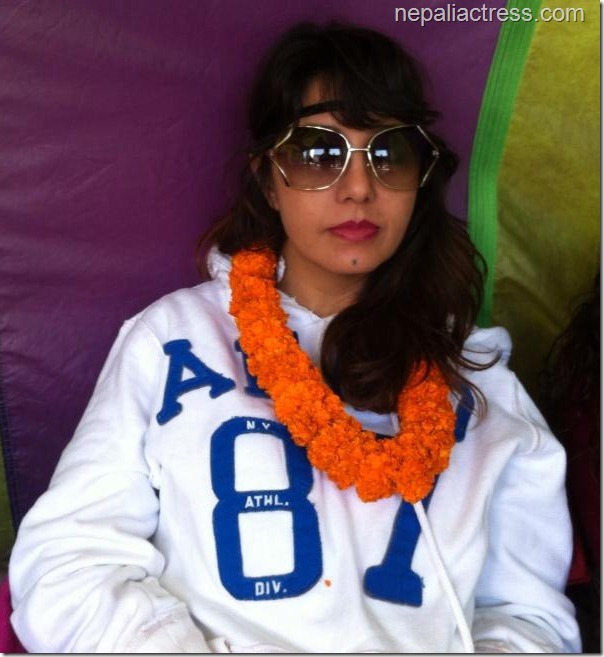 During one of such protests Karishma was also arrested on January 17 along with 30 other film artists. When asked if she is interested in heading the Film Development Board, Karishma told that she doesn’t have such interest and she was fighting for the benefit of film artists. 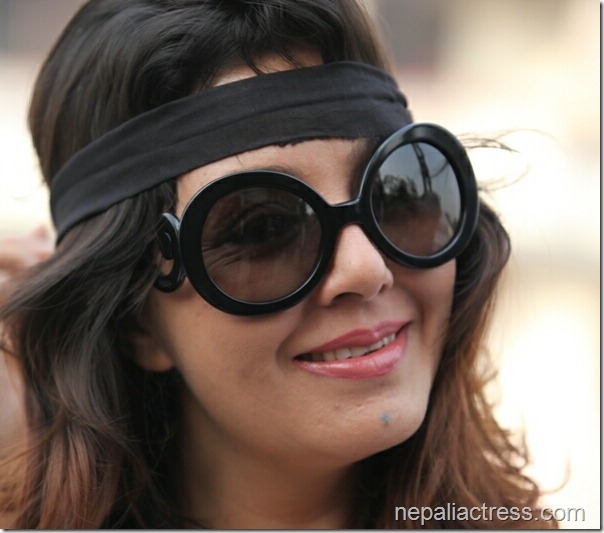 On May 15 actress Karishma Manandhar was stuck in Bangkok airport when she missed the flight to Nepal. 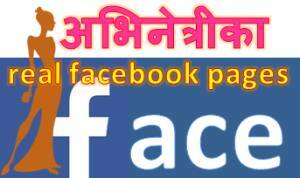 This entry was posted in Gossips, Movie actress and tagged Karishma Manandhar. Bookmark the permalink.